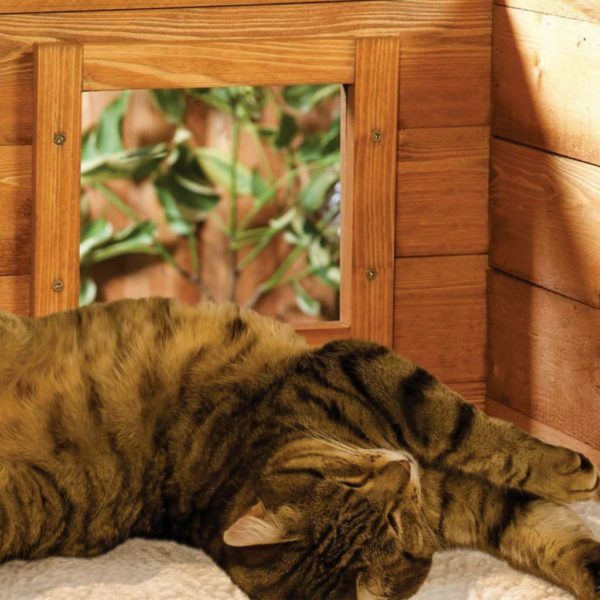 If the cat lovers here at the Home and Roost offices can attest to anything, it’s the worry they get when their little friend takes a walk outside. Knowing there’s a safe place they can go to is not just perfect for your pet, but also for your peace of mind. 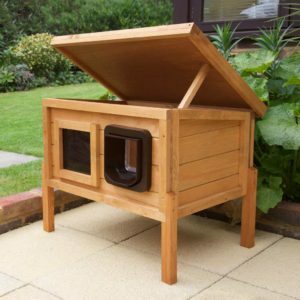 The XL Cat House was designed to bridge the gap between the outside and the home. 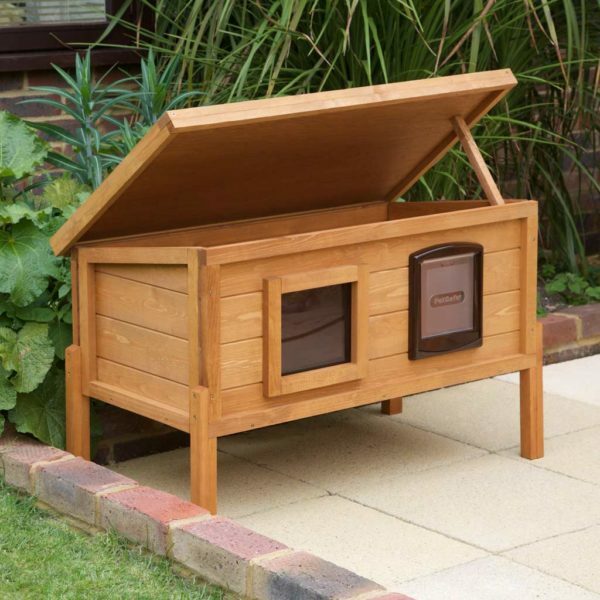 The large size of the house means it can save the bacon of more then one cat if they get caught in the rain. 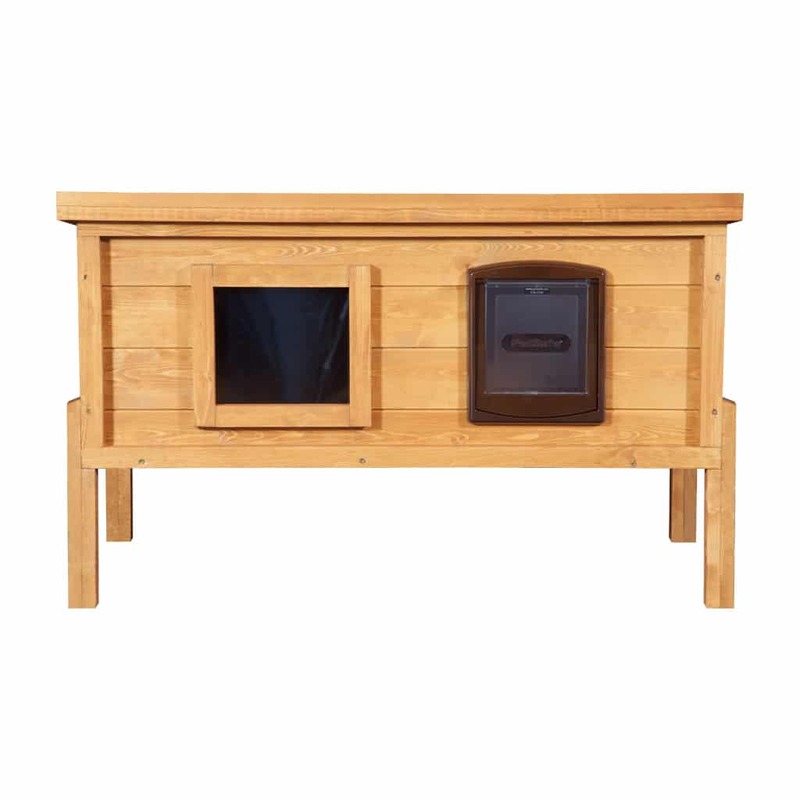 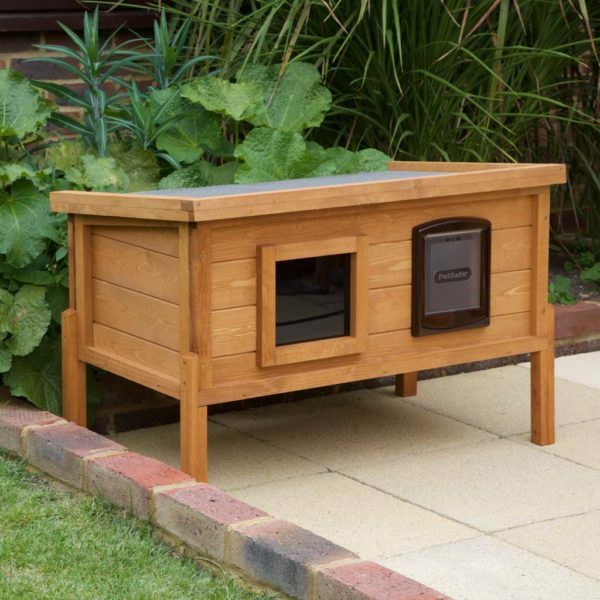 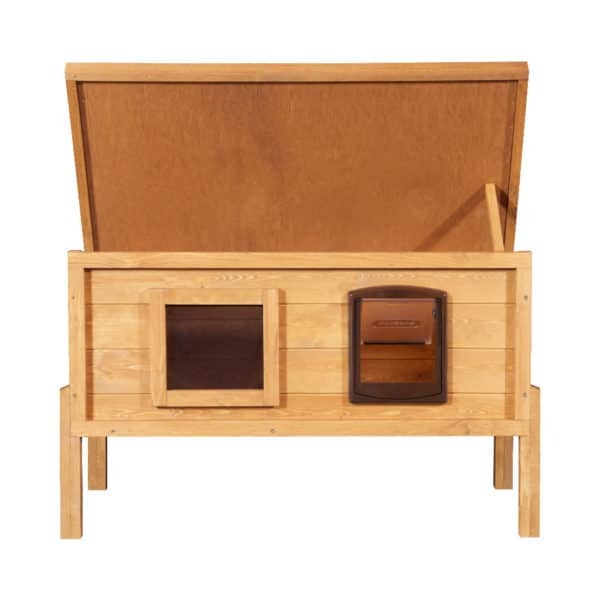 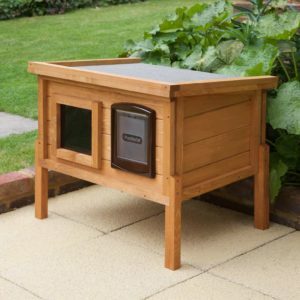 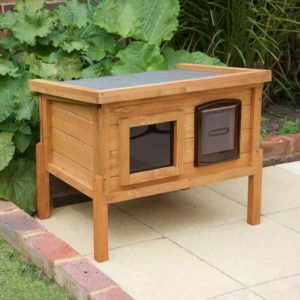 The XL External Cat Shelter is designed to house more than one cat or a single cat who likes a lot of space. 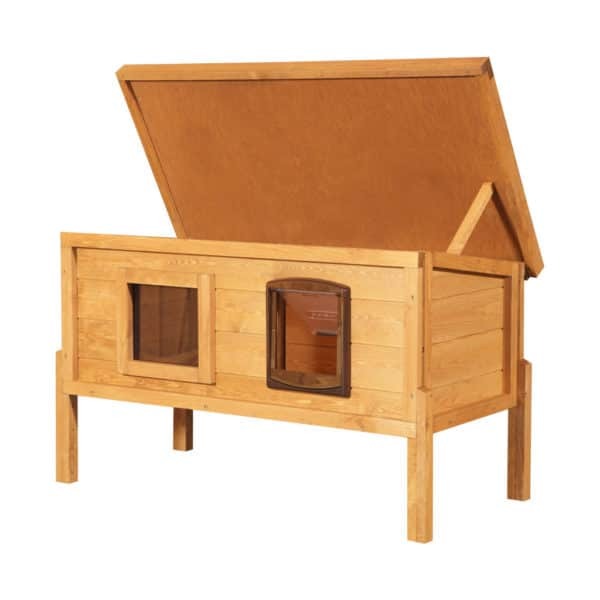 A lining of insulation is built into the floor and roof giving the cat house excellent temperature regulation in the hot and colder times of the year. Any cat lover knows how much cats love to sit by a window and survey their territory. 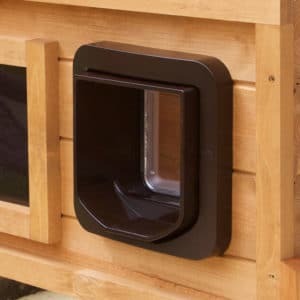 The toughened one-way privacy window we’ve built in allows your cat to see out, but nothing can see in, this makes for endless spying sessions. 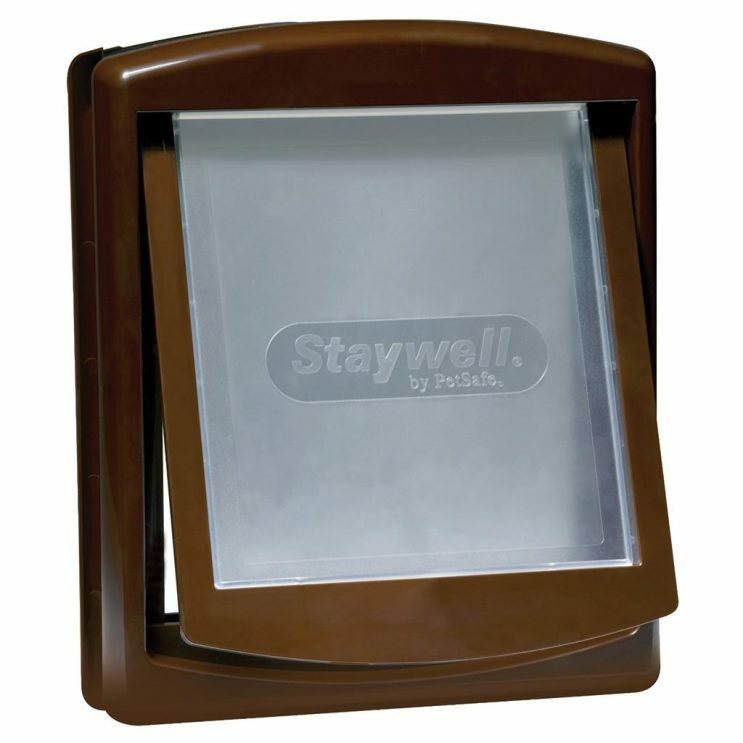 The Cat Shelter legs can be attached in two configurations to keep it dry and above the ground or just place it on a table or a higher security area. Arrives at your door fully Assembled with rare Matatabi catnip stick to help your Cat transition to their new external safe zone.